Twenty-three college presidents in America make more than $1 million each year. Harvard’s Drew G. Faust, fifty-sixth overall, is not one of them. 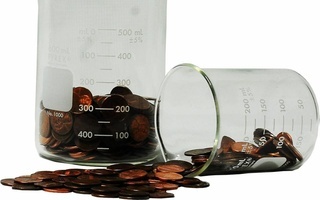 Overall, presidents of major private research universities made a median salary of $627,750, according to a survey released last week by the Chronicle of Higher Education. Shirley Ann Jackson, president of Rensselaer Polytechnic Institute, topped the list with a salary of $1.6 million. In 2002, no presidents made over $1 million and only four made more than $800,000. During the 2008 fiscal year, Faust received $693,739 in cash and benefits. Former President Lawrence H. Summers received $611,226 during his last year in office. “Of all the lists we top, I’m glad Harvard is not number one on this list,” former Dean of Harvard College and Computer Science Professor Harry R. Lewis ’68 said. Faust’s salary is one of the lowest in the Ivy League. Columbia University President Lee C. Bollinger, in sixth place among all university presidents, made $1.38 million. University of Pennsylvania President Amy Gutmann made $1.23 million, and Yale University President Richard C. Levin made $1.18 million. “I think it is to Harvard’s credit that [Faust] is not paid as much as presidents in other places,” said David E. Kaiser ’69, who was among several alumni who sent a letter to Faust last month criticizing the compensation of the University’s endowment managers. “If this economy persists, a lot of people will have to be ready to not have any pay increases for some time,” Kaiser said. During the recession, some college presidents have opted to take pay cuts, including Stanford University President John L. Hennessy and Brown University President Ruth J. Simmons, both of whom continue to earn more than Faust. The Student Labor Action Movement has advocated for pay cuts for top administrators and faculty in order to retain staff jobs. Even if cuts to administrators’ salaries do not amount to much, the symbolic gesture is important, said SLAM member Remeike J. B. Forbes ’11. Forbes said that salary cuts might not hurt the quality of Harvard’s faculty. “The thought that certain faculty are rare gems that we have to look after is misleading,” Forbes said. Johnny F. Bowman ’11, a member of SLAM and a candidate for Undergraduate Council president, proposed that professors take anonymous, voluntary pay cuts of one or two percent. Bowman said that if professors instead of administrators agreed to cuts, the symbolic and monetary impact would be greater. 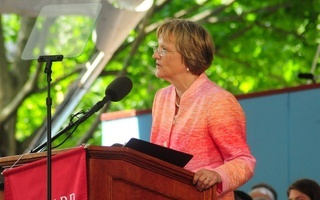 University President Drew G. Faust will travel to Capitol Hill this week to sound the alarm about across-the-board budget cuts that would likely slash millions of dollars in funding for Harvard researchers. Following months of budget battles on Capitol Hill, President Barack Obama signed off on legislation Friday night to automatically reduce government spending, unleashing an unprecedented wave of cuts to funding sources that have long supported Harvard’s researchers and scientists. 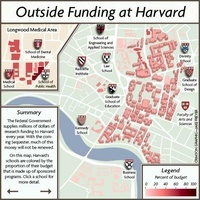 A Congressional budgetary amendment severely limiting National Science Foundation funding for political science research poses a significant threat to that field’s most promising academic work, Harvard government professors warned Monday.